Eric – New Private Pilot! 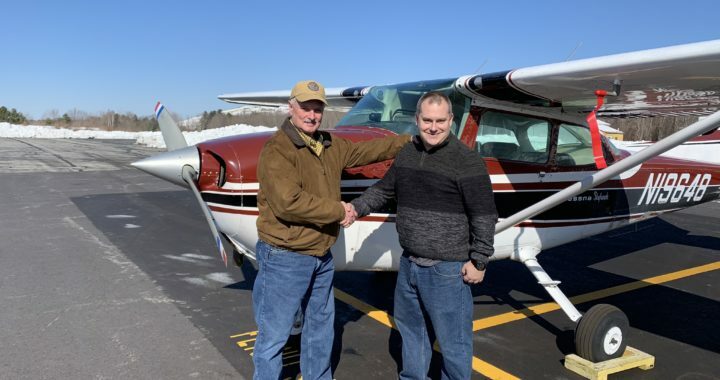 Eric achieved his Private Pilot Certificate on March 9, 2019 after a flawless checkride with Examiner Daryl Smith. The entire staff at Norby Aviation enjoyed helping Eric reach his goal and watching him grow into a great pilot! Eric is now planning trips all over New England to explore his new freedom and build-up those cross-country hours. Please congratulate Eric on his well-deserved accomplishment!